"It is sad to see the end of the ALMS era but we will look forward to moving on to the next challenge." 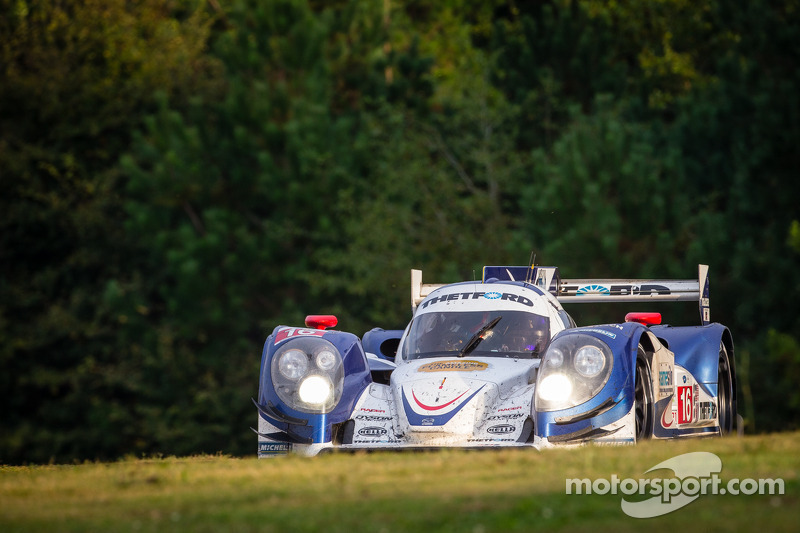 BRASELTON, GA October 19, 2013 - Dyson Racing ended their thirtieth anniversary year and the final race of the American Le Mans Series with a second place P1 finish at the Petit Le Mans Powered by Mazda at Road Atlanta. The nine and a half hour, thousand mile race produced eight yellow periods and alternated between wet and dry track conditions for the first four hours. The #16 Michelin-shod Lola Mazda of Chris Dyson, Tony Burgess and Chris McMurry ran strongly through it all and ended the season on a high note. The Dyson entry started from the back of the grid, having elected to change the tires they qualified on. Chris Dyson started the car and moved from thirty-fourth to third by his second pit stop. Variable track conditions were still the norm when Tony Burgess started his first stint, getting in the car at the two-hour mark and dealing with the challenging weather. By the time Chris McMurry got in the car a little after the four-hour mark, it was mostly dry and he ran consistently fast laps, including keeping the winning Rebellion entry behind him for a good number of laps. Dyson got back in after the six-hour mark, and turned the fastest race lap for the car forty minutes later, 1:12.626 on lap 277. Burgess got back behind the wheel two hours later. His run was punctuated by a memorable save when a tire went down after being hit in the rear and he spun down the front straight. McMurry was in the car for the last rotation when the car was retired five laps from the end with burned wiring from header heat. "The big races are always very important to this team," reflected Dyson afterwards. "Everyone put their best foot forward this weekend. We wanted to close out the P1 era with a good result and we acquitted ourselves well. To come from the back and finish second on the P1 podium is a very solid day for us. It has been a great story here over the years and the Petit has been a huge part of the team's history. It is sad to see the end of the ALMS era but we will look forward to moving on to the next challenge." 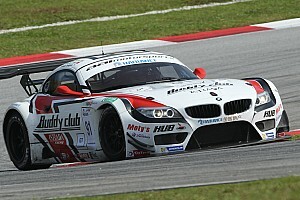 Tony Burgess noted "It was a good race for us and a good way to end my series of races this year with Dyson Racing. The conditions were variable and made for a constant challenge in the cockpit. I would like to say there was skill in keeping the car on the track during my spin, but racing luck also helped!" "Racing with Rebellion and holding them off for a long time was a highlight of the race for me," said McMurry. "You do not get those opportunities too often. The car was very good. That is the only way you can keep a team like Rebellion at bay. 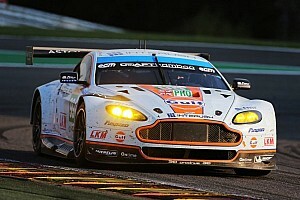 It was a good race, and a podium at Petit was a memorable way to wrap up the last race of the ALMS." The 2013 ALMS season started in March with the 12 Hours of Sebring and ended with the 1000 mile Petit Le Mans this weekend. At the finish of the ten-race season, there were 1,579 laps and 4,362 miles of competition in the record books. 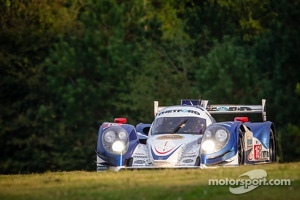 Dyson Racing finished the season second in the P1 Team Championship. Tony Burgess and Chris McMurry were third in the Drivers Championship, followed by Chris Dyson fourth and Guy Smith fifth. Over the past fifteen years of the ALMS, Dyson Racing has five driver's and team championships, nine overall wins, seventeen class wins, twenty-five overall poles, thirty-four class poles, forty-four overall podiums and forty-two class podiums. In looking back on the ALMS era, Chris Dyson commented that "It had all the right ingredients. It embraced diversity, variety and technological advancement. It was truly global in its platform. Its connection with the 24 Hours of Le Mans provided strong heritage. IMSA worked very hard to make sure the rules were stable so you could preserve the best elements from overseas but retain the historically powerful IMSA personality. I think both of those factors really played to the series' favor. The fans agreed. There was always solid crowd participation and good energy in the paddock. 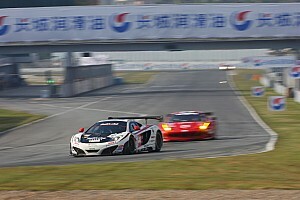 You were constantly seeing new equipment and new technology which produced good racing thorough all the classes. That connected with the fans. They very much enjoyed it over the years as I have also enjoyed every minute of it." Rob Dyson agreed. "The ALMS understood that technology and diversity is an integral part of sports car racing and they allowed diversity to flourish from top to bottom. I remember in 2007 when there were six different power plants in the top classes. You had a great mix of engines and body styles and variety of applications on how to go fast. There was a large envelope within which you could be creative with original solutions. "It would take a book to thank everyone for the past fifteen years of ALMS memories: All the guys on the team who work so hard for us. Dr. Don Panoz for having the guts to create something out of nothing. All the fans that follow us and say hello to us at the tracks. The promoters - without them we would not have a sport. The officials who have to make the necessary calls. The safety team and the corner workers. They are the best and are the reason we can do so much of what we do. My family - I could not do it without their support. My son Chris who is a prime mover in a lot of different projects and programs. All the guys at AER who do all the engine development. Plus my fellow competitors - without them it would not be fun. All our great drivers over the years: James Weaver is a friend and member of the family and easily one of the best sports car drivers in history. Butch Leitzinger - I never met a guy who had such depths of natural talent and was so easy to work with. Guy Smith who has been a bulwark for us and is fast as hell. Andy Wallace, Dorsey Schroeder, Marino Franchitti, the list goes on. "I think about the picture taken at our twenty-fifth anniversary at Lime Rock Park with me in front and all the people in the back of the cars. I am just a part of it. I should have been in the back in that photo and everyone else should have been in the front. They are the ones responsible for the wins, championships and all the accomplishments of the past fifteen years."